Below you can view all the homes for sale in the Soho Lofts subdivision located in Las Vegas Nevada. 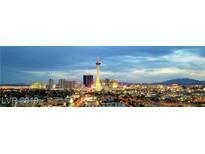 Listings in Soho Lofts are updated daily from data we receive from the Las Vegas multiple listing service. To learn more about any of these homes or to receive custom notifications when a new property is listed for sale in Soho Lofts, give us a call at 702-323-5986. Great neighborhood – minutes to Strip, walk to Fremont / Downtown area attractions. Easy access to freeway. MLS#2086387. Desio Realty Group. Open floor concept, ceiling to floor windows, Beautiful downtown & mountain views, terrace by living room, Fresh Paint. MLS#2078808. Choice One Properties & Manage.